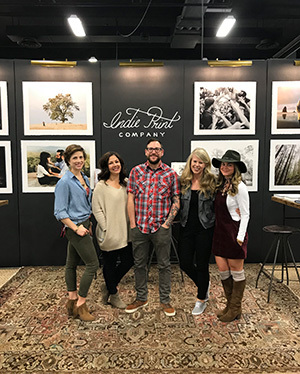 Indie Print Company is a team of creatives, photographers, makers and artists. Josh and Kim, longtime friends and business partners, began their portrait and wedding business 15 years ago. The studio grew, and out of a personal need for more creative control, Indie Film Lab was born. Seven years later—again looking to craft photo goods that we personally love—we have created Indie Print Company. Our goal is to provide beautifully simple products that will make printing easy and inviting—to create an ordering process that is simple—to help other professionals leave a printed legacy of their work—all in the hopes to contribute to a revival of printing. This is only the beginning of our vision for what we want to create. Honestly, it was hard to just launch as I am sure most of you creatives can relate. There are so many other things we want to make, offer and perfect. This is only our beginning, and we are honored that you are interested in our journey!